The major problems that operators are having with the upstream path have to do primarily with ingress and noise. Aggravating the troubleshooting process is that often the interfering ingress problems are intermittent. Just as a tech gets close to the problem, it goes away, and he has to wait for it to show up again, perhaps today, maybe tomorrow. Rick Yuzzi and ZCorum technology officers examine the advantages cable operators can see by identifying and analyzing noise in the return path as part of their overall strategy for network management. 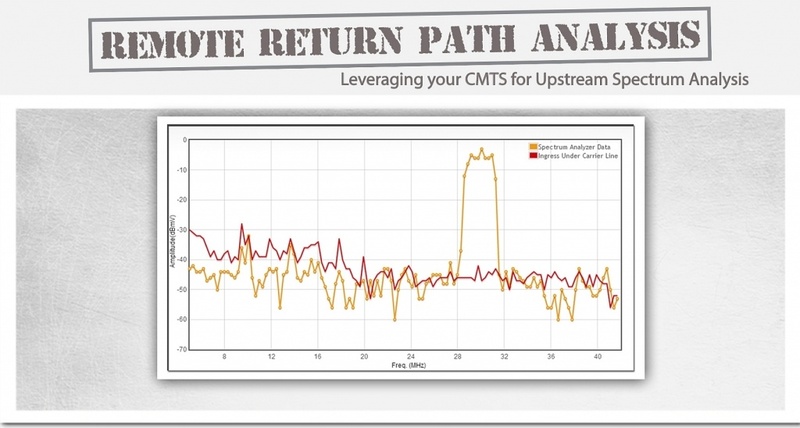 The webinar for the National Cable Television Cooperative (NCTC) on the subject of Remote Return Path Analysis - Leveraging Your CMTS for Upstream Spectrum Analysis focused on managing ingress and noise by monitoring the upstream spectrum path in DOCSIS networks. Specific topics include where noise can enter the plant, sources of noise and their effect on services. In addition, different tools to identify ingress in the plant were discussed. The Webinar has been completed, but you still have the chance to view the recording.